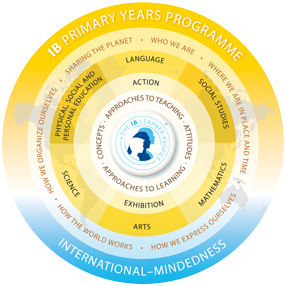 The PYP Programme of Inquiry is a matrix made up of six Transdisciplinary Themes (Who we are; Where we are in time and place; How we express ourselves; How the world works; How we organize ourselves; and Sharing the Planet). Each Transdisciplinary Theme is accompanied by an extended description that explains what students will be inquiring into. Each school develops its own Programme of Inquiry which provides a framework for primary teaching. The document attached below is our annual Programme of Inquiry. The document below outlines the key Units of Inquiry that students will investigate throughout the year.